What Were The Banana Wars? Home Nonsense Funny Articles What Were The Banana Wars? 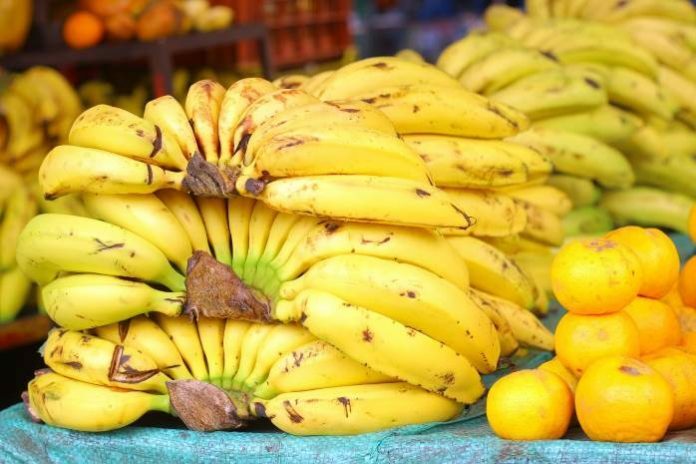 Two conflicts were dubbed the “Banana Wars.” The first was between the United States and countries located in Central America and the Caribbean. The second, and much later conflict, was between the United States and the European Union. The common thread was that they both centered around trade practices and the banana. Countries involved included Mexico, the Dominican Republic, Haiti, Nicaragua, Honduras and Panama. The United States had commercial interests in these areas, specifically in commercial banana plantations. The U.S. Marines assisted in these “conflicts” so many times that they came up with a book called “Small Wars Manual: The Strategy and Tactics of Small Wars,” published in 1921. Another legacy of that war was the term “Banana Republic.” Coined by an American writer, William Sydney Porter, it was first applied to Nicaragua in 1904. The term indicates an unstable country in Latin America that only depends on one export product to fuel its economy; in this case, that product was the banana. It is not a flattering term, hinting at social stratification with a large lower class while elites, sometimes from other countries, control the wealth. This Banana War didn’t end until 1934, when President Franklin D. Roosevelt signed the Good Neighbor Policy bill. Things remained relatively stable until the 1970s, when the European Union and the United States started political fights over banana exports. Consumers in the United States and the European Union all love bananas. A trade quarrel had the United States complaining that the European Union was breaking free trade laws by giving the European markets special access to Caribbean bananas. Despite the fact that Europe only imported 7 percent of its bananas from that source, the United States filed a complaint with the World Trade Organization. In 1997, the WTO decided in favor of the United States. Europe would have to change its trade rules. The United States, which had millions of dollars invested in banana plantations across the Caribbean, still did not believe the change in the EU’s trade laws was enough. They started imposing punishing import duties to items imported into the United States, sometimes as high as 100 percent of the value. It wasn’t until 2009 that the tariffs on Latin American bananas were reduced. Bickering back and forth lasted until 2012, when the international trade dispute ended in a compromise. What’s interesting is how much politics had to do with this Banana War. The powerful U.S.-based multinational corporations, such as Chiquita Bananas, often got negotiations going at the WTO by making contributions to the sitting president’s political party. It’s amazing how fast government works when there’s a big political donation on the line. Previous articleTell Us About The Worst Boss You’ve Ever Had! Next articleWhat’s Your Personal Pet Peeve That People Do On Facebook?